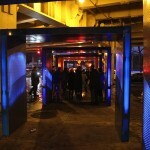 First proposed in 2011, Brooklyn’s Silent Light installation has finally become a reality. 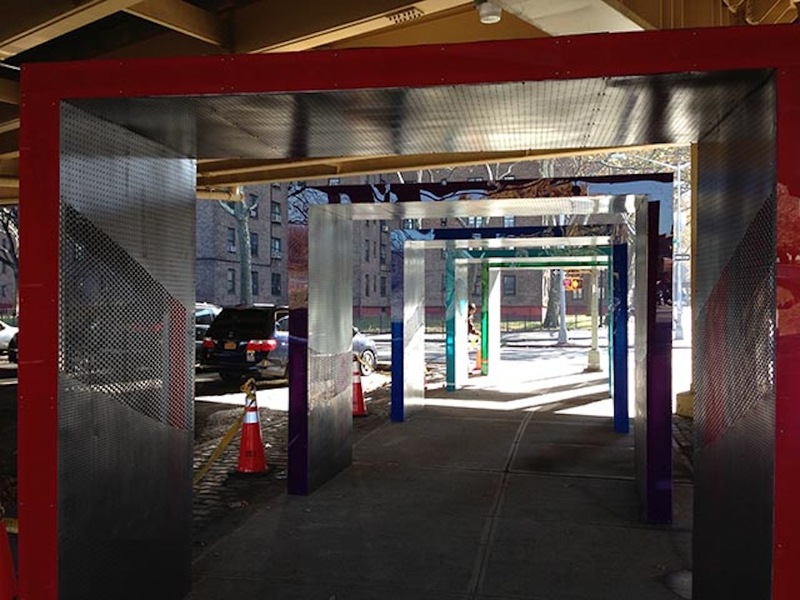 Located at the intersection of Park Avenue and Navy Street under the Brooklyn-Queens Expressway (BQE) in Red Hook, the series of gates frames a pedestrian walkway that passes through an area of heavy vehicular traffic. 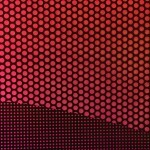 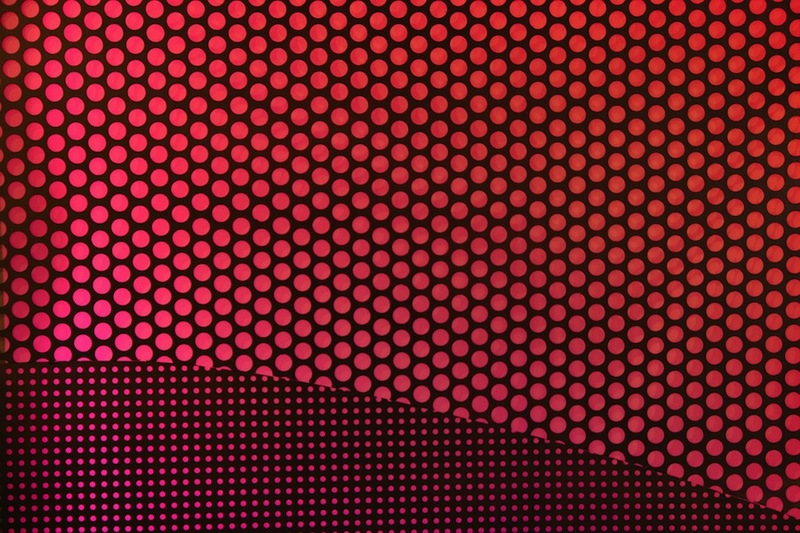 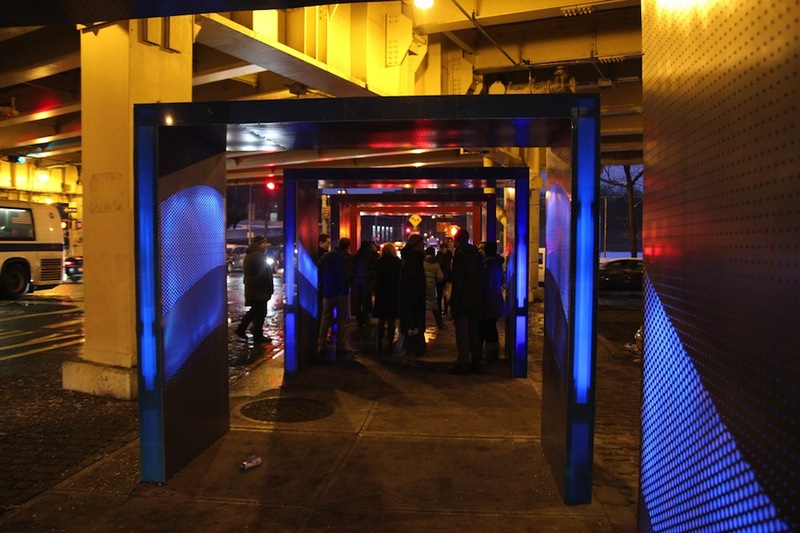 The structures are covered in LED lights activated by surrounding noise from cars to create fleeting light shows of various colors and patterns. 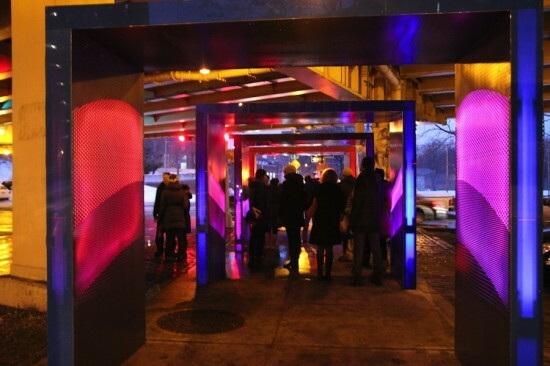 The project was conceived and executed by Valeria Blanco, Shagun Singh, and Michelle Brick who together form the Artists Build Collaborative. 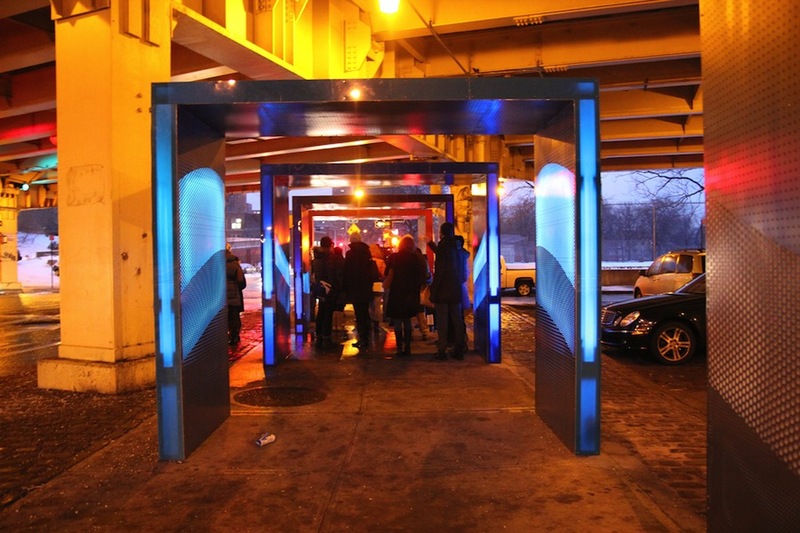 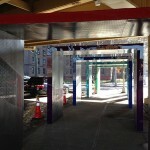 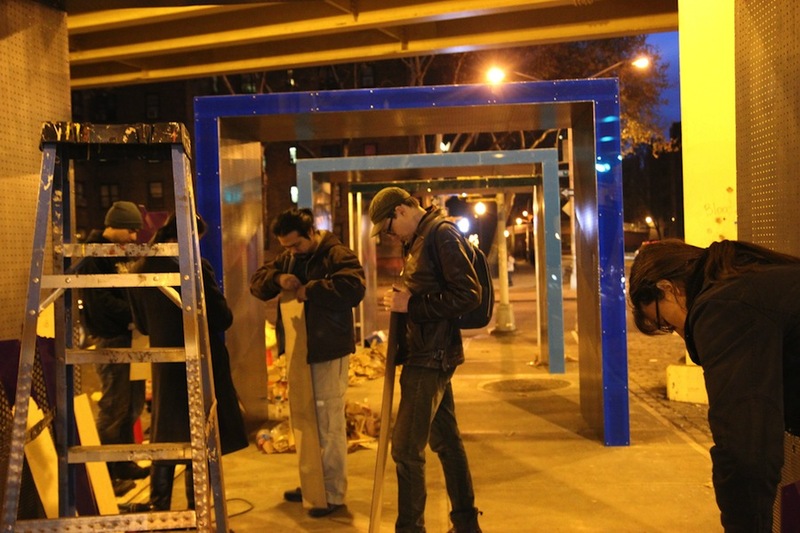 The trio collaborated with the Department of Transportation’s Urban Art Program, the Brooklyn Arts Council, and the Red Hook Initiative to fund, construct, and install Silent Lights. 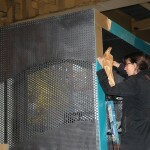 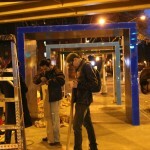 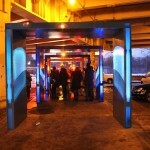 The arches are intended to provide nocturnal aid to pedestrians navigating a potentially hazardous stretch of sidewalk. 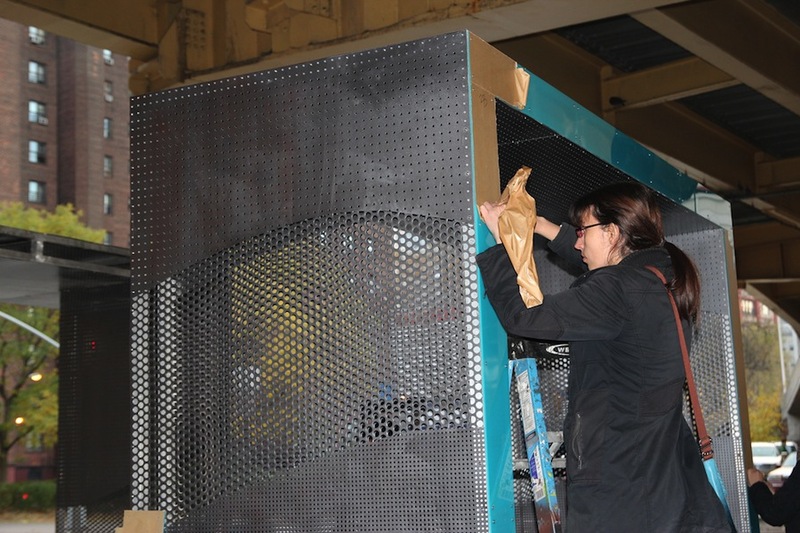 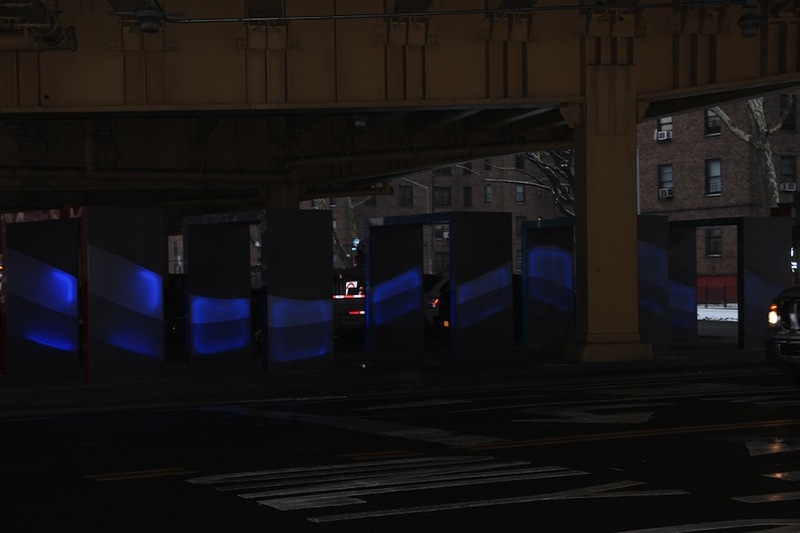 More broadly, the Collaborative hopes that by dramatically visualizing the issue, the installation will call attention to problems of noise pollution that plague the neighborhood by virtue of the BQE.